When visiting Vienna, you’ll want to stay in the center of the city, in or near the first district, Innere Stadt. Not only will this position you to immerse yourself in Vienna’s lush parks, numerous art and history museums, and extensive imperial history, but it will also allow you to explore as much of the city as possible on foot or by tram. Vienna is lovely, and you won’t want to waste a second of your time there! 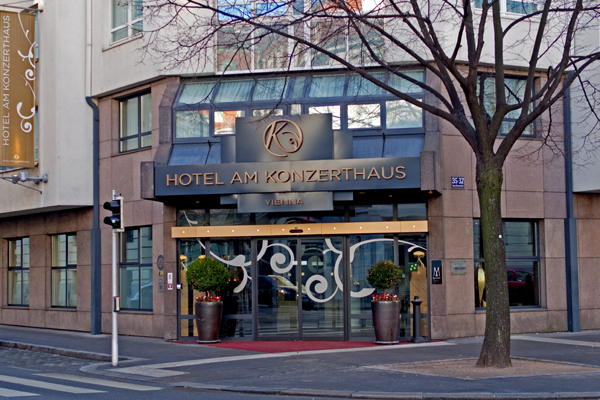 The Hotel Am Konzerthaus, an MGallery Collection hotel, is the ideal spot. Located in Vienna’s third district, just off the Ringstrasse, the hotel is within easy walking distance of the city’s musical highlights. Directly across the street is Vienna’s Konzerthaus, which hosts classical, contemporary, and jazz concerts. 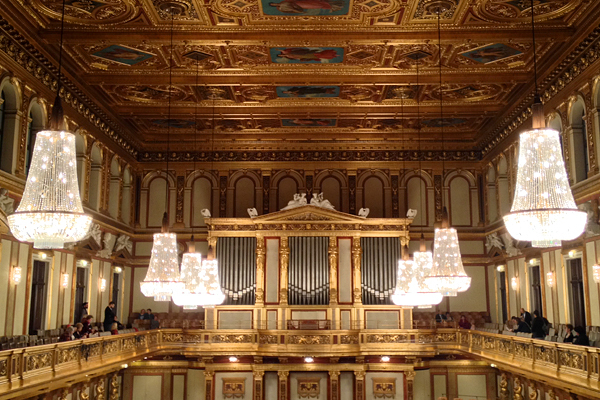 A quick five-minute walk away is the Musikverein, where you’ll find the Vienna Philharmonic and the Great Hall, which boasts some of the most highly regarded acoustics in the world. Just past that is the Opera House, a grand nineteenth century building that produces dozens of operas each year. Good seats at the Opera House are well worth it, but if you’re on a smaller budget, standing tickets with decent views can also be had for a mere €3. A small boutique hotel, Hotel Am Konzerthaus continues the theme of Viennese arts throughout its guestroom design. 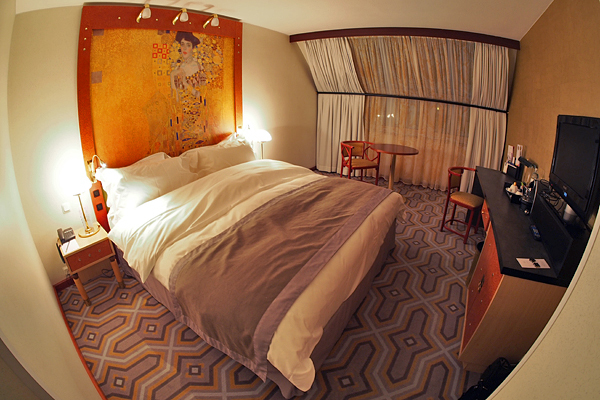 Each room prominently features one of a selection of Art Nouveau reproductions, and if you manage to score one of the top floor rooms, you’ll also have a nice view of the Konzerthaus. Le Club Accor Platinum members have the potential to be upgraded to a large, quiet Deluxe Room and greeted with drinks at the hotel’s stylish bar, so take advantage if you can. 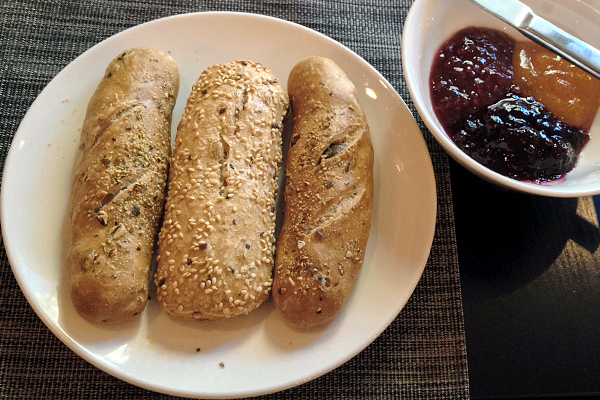 Gluten-free eaters will want to book the Hotel Am Konzerthaus’s breakfast rate. Breakfast is served buffet-style in the hotel’s main restaurant area, and an impressively full spread is offered. Like some of the best breakfast buffets I’ve reviewed—Les Orchidées in Paris and Girandole in Tokyo, for instance—Hotel Am Konzerthaus provides several gluten-free options. Eggs, breakfast meats, smoked salmon, fruit, juices, nuts, and seeds are all plentiful. Making this even more of an ideal choice, however, is that the restaurant offers toasted gluten-free breads and a full selection of jams upon request. This makes bypassing the tempting pastry section of the buffet easy as pie. Now, fill up and enjoy your day in Vienna! Where? 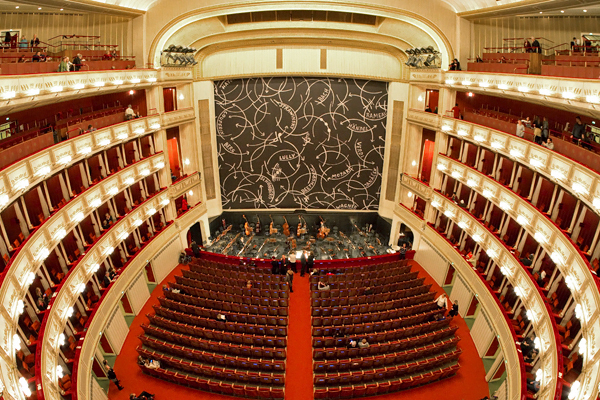 Hotel Am Konzerthaus is located in central Vienna: Am Heumarkt 35-37, Wien (+43-1-716160).